Learn about bee nests by clicking on the links below. 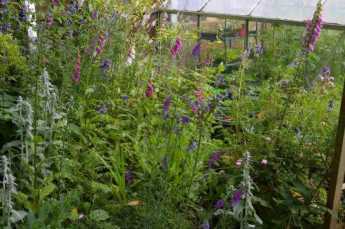 Perhaps you are interested in how to encourage bees to build nests in your garden. On the otherhand, if you have found one, and wish to remove it, please see the advice provided, and consider whether moving it is really necessary. Most only last a season, and bees are having a hard time. That said, there are times when this is unavoidable, and so this should be undertaken as carefully and humanely as possible, without destroying the nest, but by relocating it. A beekeeper is the ideal person to assist with honey bee nests, and there is also information added below about what do in the event you should find a swarm. If you have found a bees nest, here is a useful Q&A section that answers some of the initial common questions that people ask. Information about how and where bumblebees build nests, including their endeavours in prospecting for sites, and the challenges they currently face in finding suitable locations. Are you in a panic about a bees nest? Don’t be! Check out this introductory page with some helpful information. Don’t call in Pest Control – read this first. 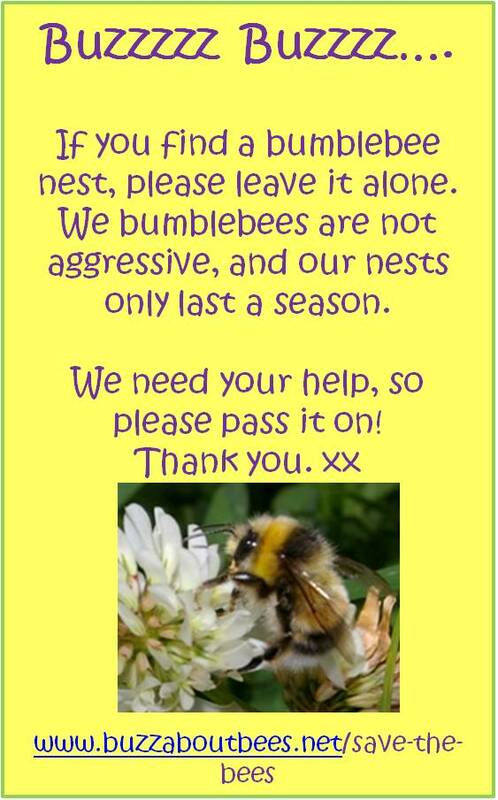 If it is absolutely essential, some advice about how to remove a bumblebee nest. Most people who do find one, when they think about it, they are able to leave the nest alone for a while. 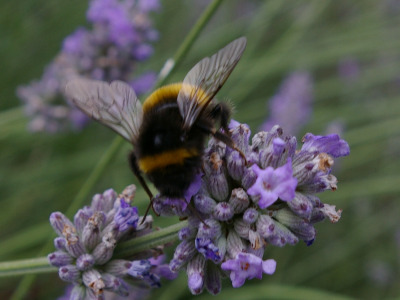 Bumblebee nests only last a season, and unless new bumblebee queens emerge, (guaranteeing future generations of bumblebees), the colony cannot be said to have been successful. Here are some tips for deterring carpenter bees from making a nest. Some species can cause damage, but usually, rotten wood is targeted by these bees. If you have found either a swarm or a honey bee nest, take a look at this page. This page is primarily concerned with swarms, but the advice is similar for nests in terms of making contact with a beekeeper. Not only is there information on this site about bee nest, we also take a look at wasp/yellow jacket nests. Some species, such as the Paper Wasp, are not aggressive, and only sting if provoked. Some nests belong to solitary wasps, and are easy to leave alone. Wasps are an asset to gardeners due to the natural control of crop eating insects, and their nests only last a season. If you are concerned about wasps, the best thing to do is deter them from building nests nearby. This page explains how you can do just that. .......are unsung heroes of our ecosystem, pollinating our food (and the food of many of our farm animals) and many of the trees that enable us to breathe. They therefore provide food for birds and mammals, all of which play a role in the food chain, supporting the web of life on earth.